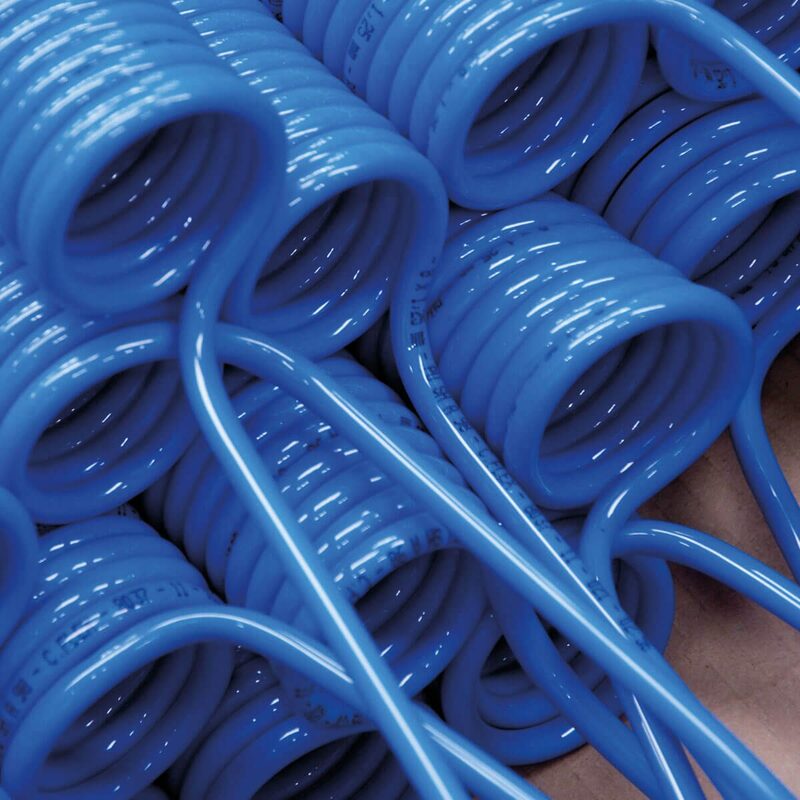 The coils produced by Castello Italia S.p.A. offer an excellent spring back memory combined with outstanding mechanical properties. They allow the operator to work hassle-free and therefore are recommended for hobby and industrial automation. For special applications Castello Italia S.p.A. can produce custom-made products; coils can be delivered with special dimensions and fittings. C.BEST and C.PRO coils ensure an excellent elastic memory as well as an outstanding temperature and chemical resistance. In case of special needs outside the standard range of coils, Castello Italia S.p.A. is at complete disposal to manufacture customized items. Coils in PA6 are excellent for their elastic memory and for their mechanical performance. Their main application is in kits for hobby activities and industrial automation, when the more resistant Polyamide 12 or Polyamide 10.12 are not required. 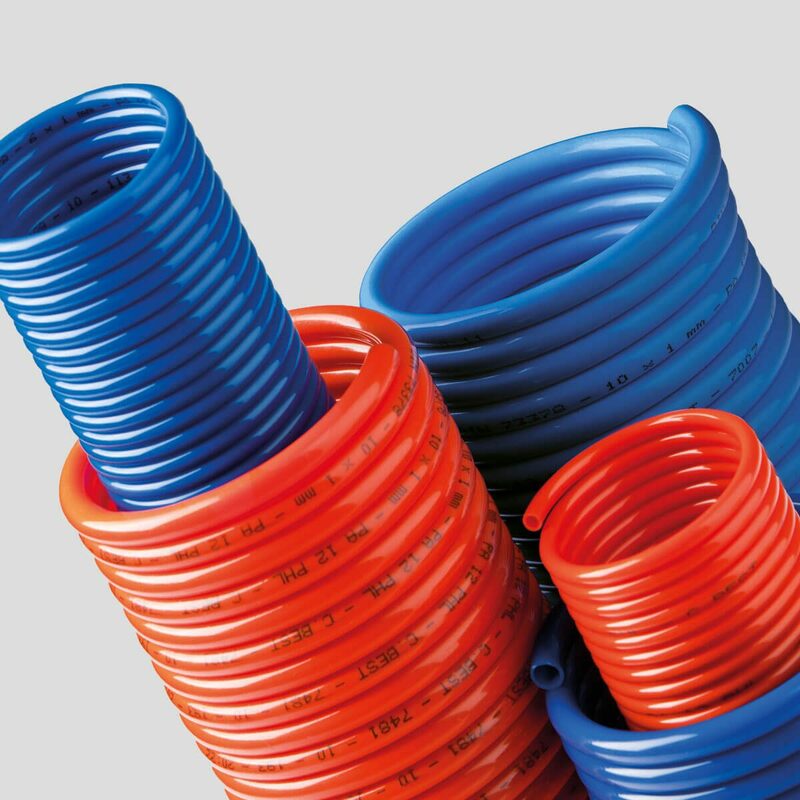 Coils in Polyurethane are manufactured with linear tubes C.FLEX 95, Polyether TPU. These products guarantee excellent handling and good resistance to abrasion and cold impact. 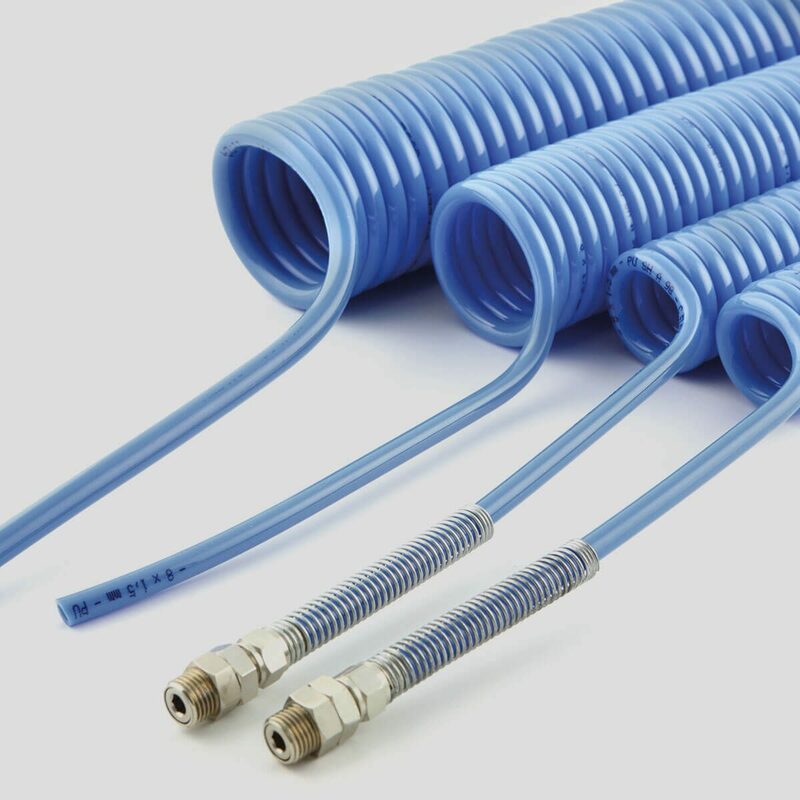 The use of the tube C.FLEX 95 allows the application in direct contact with non-drinkable water. Castello Italia S.p.A. offers the possibility to deliver the coils with or without fittings and is at complete disposal to manufacture customized items. 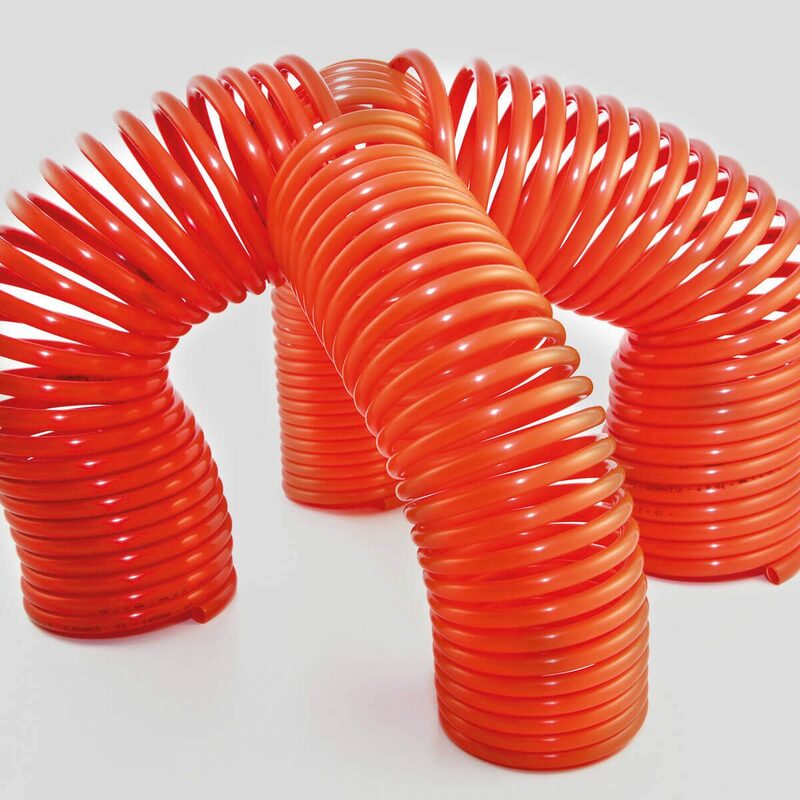 Coils in Polyurethane are manufactured with linear tubes C.FLEX 98, Polyester TPU. These products guarantee excellent resistance to air pressure, to abrasion and cold impact. Castello Italia S.p.A. offers the possibility to deliver the coils with or without fittings and is at complete disposal to manufacture customized items.